Empowering your business with Customer Intelligence | Eptica - Multi Channel Customer Interaction Software. Email Management. Web Self-service. Live Chat and Agent Knowledgebase. To better understand the current usage of Voice of the Customer solutions, Engage Business Media surveyed a range of UK businesses via online research in Q4 2018. 154 respondents from& organisations of all sizes took part in the survey. 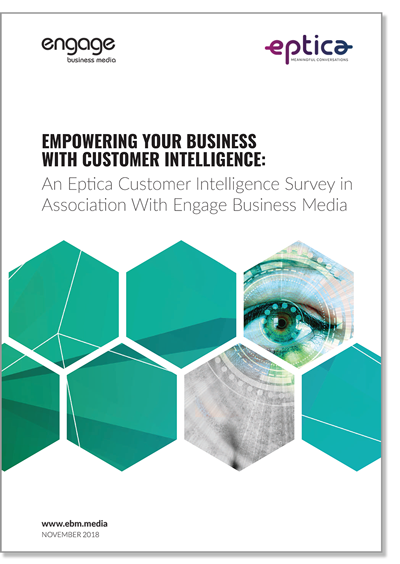 We invite you to download the full report for more key findings about Customer Intelligence.